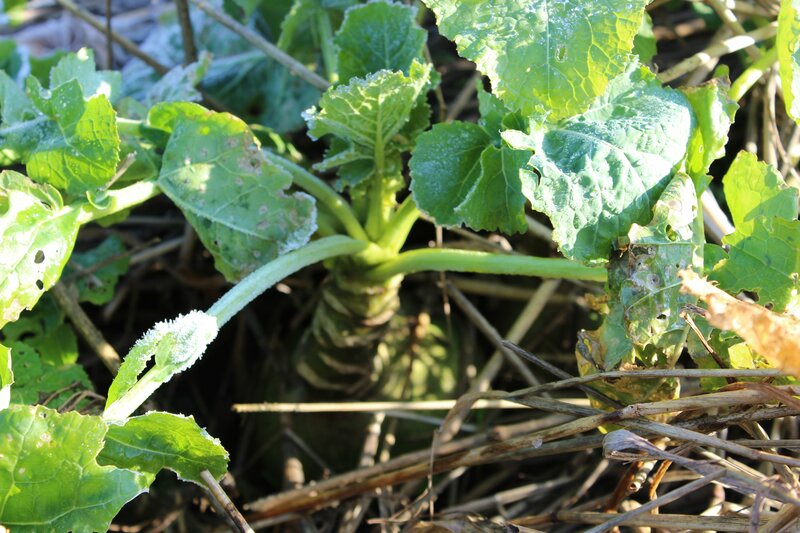 Root crops such as swedes and parsnips can be left in the ground all Winter. However, if possible a little extra protection can be given to the plants be packing mulch around the base. Straw is perhaps the best, but bracken or dried grass also works well.